What does it REALLY mean to be your own boss? It means you’ll fully manage your own day-to-day responsibilities. And, it means YOU will direct, guide or evaluate your own progress. If you take the wrong path or proceed too slowly, YOU make the corrections all on your own. That’s because YOU’RE the boss. Now, let’s see what it actually means to be your own boss and manage yourself independently. To be your own boss means to do what? What do managers really do? And what do they direct, expect, and provide? 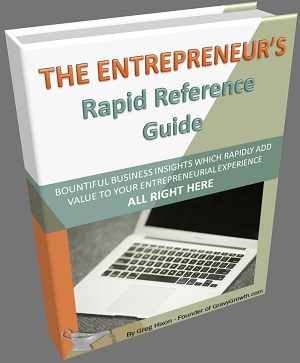 The answers reveal what YOU will manage if you want to be your own boss. Thank you! Now let’s see how wonderful managers can be! Managers are scary. And, they can be pretty bossy at times. Your manager is not there to be your friend. You must know that managers typically work harder and later than everyone else. They’re responsible for EVERYTHING being performed by their staff. That takes more concentration and hard work than most people realize. So what are manager’s primary responsibilities? An effective managers will direct your output to ensure that it’s completion is acceptable and timely. Your manager controls three primary aspects of your workload, which I describe below. All three of these aspects must be managed properly in order for you to succeed. Therefore, if you want to be your own boss, manage yourself like a trained and experienced manager. Managers assign work to their employees. Assignments are doled out based on relevance, capability and workload availability. Your manager will decide the importance of each assignment. Next, your manager will determine which of the employees has the skill-set to complete the assignment effectively. Lastly, your manager will evaluate which employees can handle additional assignments. In the beginning, you’ll need the skills and capacity to perform all of the work yourself. But, when you can’t, the work can be outsourced. Too much on your plate? This is business, not employment. Being overloaded as a business owner is normal. Therefore, expect to work 50 to 75 hours per week when everything is running smoothly. 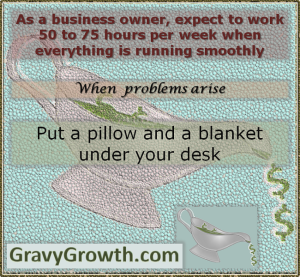 And, when it gets rough, put a pillow and a blanket under your desk. Always remember that unsolved problems and unfinished tasks are completely YOUR RESPONSIBILITY! Proper task prioritization one of the keys to success . Being your own boss means that it’s all up to you. Therefore, ask yourself what task should be completed first? Then, ask yourself what tasks can wait until later? Finally, ask yourself what task should be next? Prioritize them correctly. If you don’t carefully set your priorities before proceeding, business failure will start knocking on your door! Most every task has a deadline – a due date. Clients expect punctual delivery. Market entry must be timed perfectly. Therefore, scheduling is a big part of assignment execution. The timeline is determined by you. If you wish to be your own boss, carefully lay out your own expectations. Measure your own obligations. These have to be self enforced. Being your own boss means it’s all up to you! How well are you performing as a business owner? Regularly perform an honest assessment of yourself. Evaluate the results of your business. Look at the plots and the charts. Equate the results to your performance. Then, make adjustments as needed. Discipline yourself. And, regularly rate your own performance. Your manager expects you to be on time. Yes, you should be on time when you start every morning. But there’s more than that. Managers expect you to arrive to meetings and other events on time as well. Therefore, if you’re meeting with a customer, show up early and be well prepared. Customer service is YOUR RESPONSIBILITY and must be your TOP PRIORITY. Make sure you have the tenacity to persist! Your manager notices if you’re not dedicated to your work! Therefore, If you wish to be your own boss, don’t show a lack of dedication. That will be disastrous! So, be sure you have the tenacity to stick with it. As schedules and priorities change, your manager expects you to be flexible. Can you change course quickly? When new, surprise assignments come up, you have to be ready for them. Remember, there’s no such thing as a successful inflexible entrepreneur. An good manager will provide you with comprehensive provision. They’ll take an active role in your career development. To be your own boss means to ensure you have all of the tools and resources needed to work effectively. When conflicts arise, your manager will be there for you by mediating the clash. You MUST handle conflict well if you plan to be your own boss. If you think comprehensive managerial provision is a pipe-dream – if no manager has ever done all of this for you before, you’re in luck. Provide YOURSELF as many wonderful opportunities as you can! Your career as a business owner has to be be self-guided. Educate yourself by performing regular research. 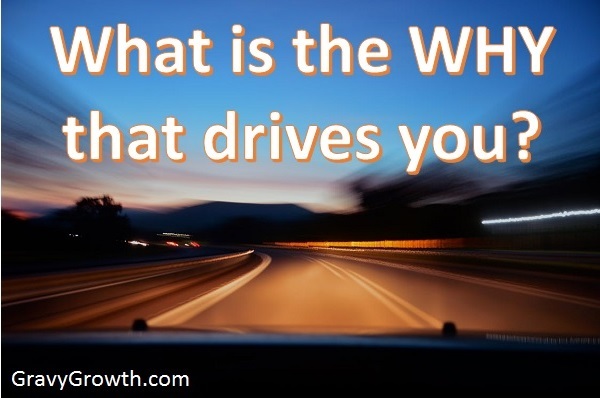 Every time you hit a roadblock, learn how to overcome the obstacle. And, every time you encounter a fork in the road, research each path to be able to make a calculated decision. 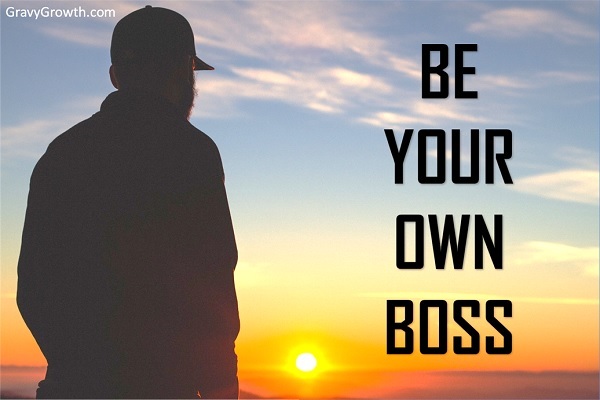 To be your own boss means to completely control your own career path. It’s all up to you. How can you get the help you need when you can’t get your work done on time? Normally, your manager will assign some of your workload to another employee. Or, then’ll bring in a temporary worker to help with the assignment. But, if you’re unable to afford employees or temporary workers, consider using a virtual assistant. Elance for example, provides a wide variety of technical resources. To be your own boss means that YOU provide YOURSELF the tools needed to complete each task effectively. 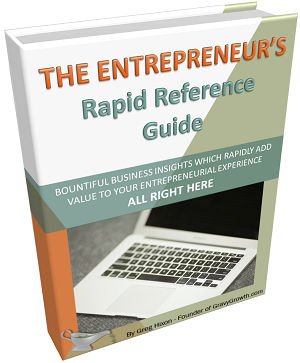 Make sure you know what’ll be required before you launch your business startup. Some tools are very expensive. And, some of them have long lead-times. Some examples of tools are development software, hand-tools, machines and even books. It all depends on what you’re creating. Are you running into conflict with an assistant you’ve hired or a vendor or supplier? Control yourself. Temper your emotions. Handle your conflicts very carefully. You’re at the highest level. It can’t be escalated! It can’t be mediated! This is because there is no management over you. If you decide to be your own boss, that manager is YOU!